Maserati has officially announced that it will participate in the Nürburgring 24 Hours – which once again runs on the same weekend as Le Mans. 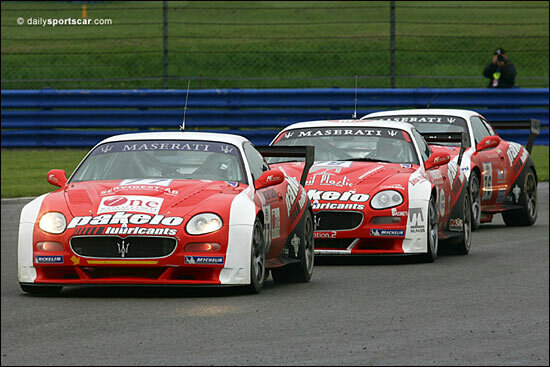 Two ‘official’ cars will be fielded by the Maserati R&D Factory Team: a GranSport “Laboratorio” and a GranSport Trofeo. They will compete in the “DMSB E1XP” and the “24h Special” classes respectively. Andrea Bertolini, Michael Bartels, Eric van de Poele and Gianni Giudici will share the GranSport “Laboratorio”, while the GranSport Trofeo will be driven by Jacques Laffite, journalists Patrick Hong and Richard Meaden - plus Gianni Giudici. Both cars will run on Pirelli rubber. 1961 Gregory-Cassner (‘Birdcage’ Type 61).